I had a mouse problem once. The buggers were hard to get rid of in general. I hated that they devoured my pantry items. Which brings me to the topic, what DO mice eat? Furthermore, what are the mice eating in your home and how are you encouraging their habits by feeding them with foods in your cubby? Regardless of how it seems, mice don’t eat everything. They just eat a lot of things. You might be unconsciously leaving out their favorite snacks, encouraging them to set up house. Why Did Mice Attack My Cabinet? Mice are omnivorous, which means, they could eat anything including bugs, plants, and cardboard boxes; but in the same way that we humans don’t eat everything, neither do mice. This is why they have no problem entering your house and going straight for your cabinets. If you’ve ever had mice, you might have even noticed chew marks on wood frames too. Mice attack your cabinet, your pantry, or any exposed foods because they don’t want to be seen (the pantry is relatively hidden) and because they want to eat often. Mice can multiply rapidly and don’t need much water to survive. One might wonder, why don’t the mice, if they eat anything, come right out onto a kitchen counter like some of the other smaller, yet well known pests. Mice are quite timid creatures and any perceived threat that affects their sensitivities will make them run, so they prefer to remain in places that are hidden. This explains why they might simply stay in a room temperature place with easy access to the food. Pay attention to where your dark and unbothered places of food storage are and you may find the source of your mouse problem. Whenever you are unsure about where mice might be, look for the smell of musk or mice droppings. Wherever you see mice droppings, it’s safe to say that mice have been eating and moving about in that area. Have you ever thought about why researchers use mice? You might have watched a science fiction television show, or read some sci-fi book, or, you might be a researcher yourself. All of times would have given you exposure to the image of mice scurrying about in a cage, surrounded by lab equipment and test tubes. Although not in every way, mice are strikingly similar to humans in the way that they respond behaviorally, and physically to various stimuli, like food allergies for example. This is the reason mice are used often as test subjects. Because of these similarities, mice are a great “genetic” model, according to the National Genome Organization. Their responses to food, thus, can be predicted from a human perspective. Whenever you are wondering what do mice like to eat, think about what sweet/fatty thing you might want to eat, and that, my friend, is what you can put down on a trap as bait. What do mice eat to get their nutritional needs? Mice need their diets to consist of 15% protein, give or take. Humans, by contrast, typically need 36% protein in their diets. As you can see, the diets of mice are significantly lower in protein. Considering mice need so little protein, if you let it run abroad freely in your home or business, the mouse is surviving just fine without much effort. A common misconception exists that mice eat cheese only, but of course it’s a misconception. Why? Is it because cheese is high in protein? While, sure, a mouse will eat it, the pest is more likely to go for the bag of rice in your cubby. They’d rather go for something with a little more sugar; much like many of us. With that said, don’t waste too much cheese as bait; instead, give the rodents a bit of sweet chocolate, or crumbs of rice or grains. Sprinkle the aforementioned food bits around the entire trap and within it. The mice are sure to come running under the cover of night. If you have other household pets like dogs or cats, using your pet’s food and a trap would be a good choice. The strong smell of pet food and the balanced mixture of proteins and carbohydrates make them perfect food for mice. If you don’t have household pets, think back to what I said earlier; what would you love to eat? Something high in sugar and sweet in taste is a great choice. Fatty food with a strong smell such as peanut butter and bacon will also get their attention (as well as yours). 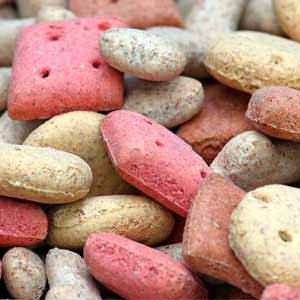 For a greater detail about foods that are great for bait, read this other article here. In general, if you don’t want to feed the mice in your home or business, it would be wise to put your food items in plastic, glass, porcelain or metal airtight containers. Get rid of cardboard boxes hidden in dark, isolated places and clean up those crumbs in order to force mice out. Knowing what do mice eat is essential to getting rid of them.